Can someone please tell me if after adding a external MOSFET to my RUMBA Board do I also need to power the heated bed input on the board or just wire the control to the hotbed out? 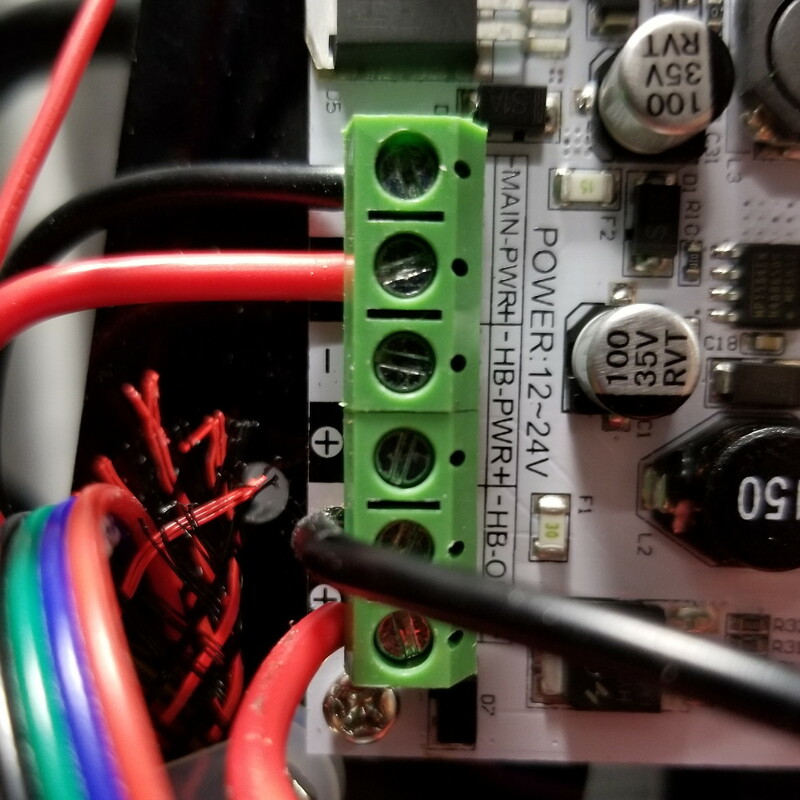 I've included a picture, I have the control wiring of the MOSFET connected to the hot bed out but I didn't connect anything to the hot bed in because I thought the point of an external MOSFET was to keep the power off the board. The board has mains power to the main power supply. Any help would be great thanks! Edited 1 time(s). Last edit at 04/21/2018 06:38AM by Fiyero88. you stuff the control lines into your normal bed output, and you have to power your normal bed output to have 12v available. The idea is to remove the load from the main controller, not the entire voltage, just the amount of current going threw the bed plugs. So do I need to plug anything into the heated bed power in on the RUMBA Board? Or is the MOSFET bypassing that? gee how many different ways do I need to say it.